With endless blue skies ahead, it’s high time for some beyond ordinary sun, sea and sensuousness. Yes, we’re talking Sunseekers cruising the big blue Mediterranean during springtime. To get you in the mood from now until the end of June 2017, all Azure Ultra charters are available at fantastic pre-summer prices. 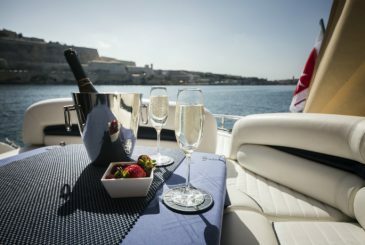 And remember, you can tailor every aspect of your charter to suit your mood or fit an occasion. Whether this is relaxing with family beside the fly-deck barbecue, jumping into the jet-rib to get close to coastal attractions, enjoying white-knuckle water sports, dining and partying with a select group of friends, or a little bit of everything, just give your Azure Ultra representative a call to chat about your vision. From where to go and what to eat, to which brand of water, whisky or wine you prefer drinking, Azure Ultra will help bring your vision to life. 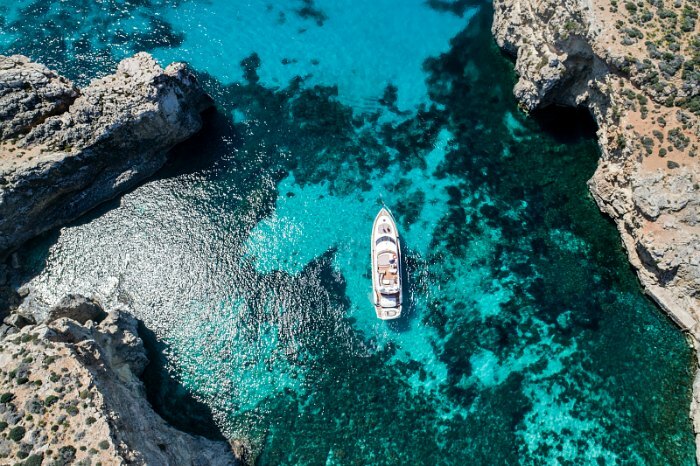 ‘Based on your objectives, we’ll provide you with a choice of beaches, attractions, marinas, cities and villages,’ comments Azure Ultra representative Rosie Abela. It doesn’t end there, because we can also arrange the finest seafood and freshest seasonal produce from local Mediterranean markets, including specialist chefs who will recommend complementary wines. Sounds like a date, doesn’t it? Contact Azure Ultra now to get your spring off to a sensational start.